We all have a selection of smartphone apps: some that we use and some that we wonder why we downloaded. Well there is a new one that is destined to be a favorite and will help you make your travel plans based on green choices and contribute to a participating in a real life ‘SimCity’. In other words, you can use the app to add to your green footprint and that of your community. The CO2GO app is an incredibly intuitive smartphone tool. To begin with, it has an automatic function to detect the method of travel of the owner: car, train, bus, etc. and calculates your emission level using an algorithm. No surprise that the design is by MIT’s SENSEable City Lab and it brings the technologies that surround our world into focus. Every day people will be collecting detailed information, as walking sensors, which will be converted into data as to how people use and interact in cities and this in turn will give people the option of green choices. The capture (or hacking) of urban information will configure energy use, water consumption, and food and gives the planners the ability to run simulations of potential scenario plans. This game plan sets a base for the addition of the ‘what if’ questions that can allow alterations. The resulting data can help planners when addressing high priority topics such as aging infrastructure, mass urbanization and carbon emissions. This real life technology participation gives the opportunity to add, delete and change the baselines. You can add thousands of people in an area over a period of ten years and find out the best way to accomplish it. The next model levels will help to optimize the best density and city size and potentially equate to answer the maximum number of people that should be within a square foot, per resource and still attain quality life. The sophistication of the tool, combined with the app accessing technology links that surround us may be an answer for some of the pressing urban problems faced today. To continue the expansion gaming shops have been held in India with the Next Generation Infrastructure Lab, a division of policy research organization CSTEP, to allow interactive simulations that will assist decision makers in their understanding of the implications of different energy sources, such as the use of solar, over the carbon emitting oil or coal. 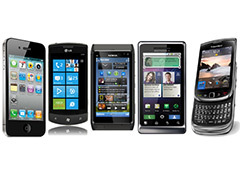 The mass use of smartphone technologies is being predicted to overtake standard cellular phones by around the year 2015. With mobile apps such as CO2GO available on hundreds of thousands of smartphones, plans can be intelligently made and potential scenarios addressed before a crisis point. Construction and city planning can be designed around quality of life and population, while reducing energy waste. As we add more technologies to link into the program, the data mining and efficiency can be elevated into exponential levels so that every possible outcome is addressed for the best plan. The future of this mobile app is to create the ground base for all of us to participate in the technology that can shape the future. Are Our Kids Connecting With Nature? Posted on April 16th under Global Ecology. We are getting closer and closer to technology ruling us instead of us ruling technology. Just like they said in Jurassic Park – just because we can do something, doesn’t mean we should do it. What will they think of next? Here we are, living our lives and each move we make will be monitored to go into a major think tank pool to help decide what the town will build or improve. Technology blows my mind. I know I get a bit irritated knowing that the stop light has a camera on it and that I can drive down a thruway and get a bill for the toll in my email…but this takes things to a whole new level. One that I am uncertain that I like. This smacks a little too close to everyone knowing everything that we do. Half of me is intrigued by the concepts, the other half is a bit scared. I would love to be able to contribute to future decisions, simply by walking and driving around. What a blast.